At the beginning of March I had a romantic date in Chulilla. We met for the first time at the top of a magical mountain (la montana mágica, 8a+/b) at a little balcony (balconcito). Her name is “La belle protegida” (8b)” and she is really beautiful. 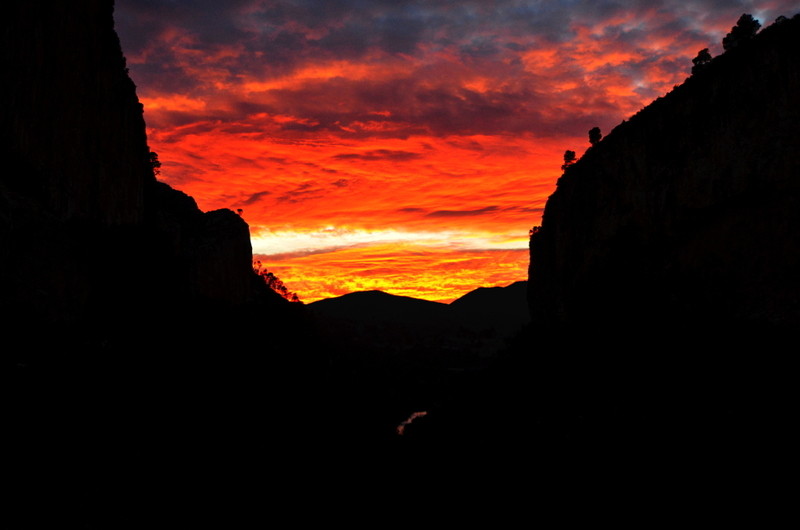 We enjoyed one of the most impressive sunsets I´ve ever seen, drunk “Amteratsu” (8a+) and it felt like La josa was belonging only to us (La josa nostra, 8a/+).